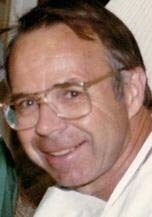 CORTEZ, Fla. - William H. Barnett, 82, of Cortez, Fla., died Friday, Oct. 28, 2011, in Bradenton, Fla., of acute leukemia. There will be a private family service. Please direct memorial gifts in Bill's name to Tidewell Hospice of Bradenton. Bill and Margaret "Peg" Barnett were married for 57 years. They have three children and five grandchildren. Bill has one brother, Dr. Robert Barnett, from Minneapolis. Bill was preceded in death by his parents, Sylvester W. Barnett, M.D., and Francis (Spence) Barnett, and his sister, Marian Barnett. Dr. Barnett was born in Cedar Falls. Bill received his M.D. degree from the University of Iowa in 1954. Bill moved to Ames in 1961, where he practiced surgery at The McFarland Clinic and Mary Greeley Hospital. In 1996 Dr. Barnett retired, and he and Peg moved to Anna Maria Island in Florida.